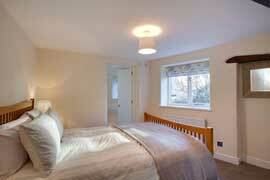 Norwood cottage sleeps 4 with 1 King size bed and 1 double or 2 twin beds. The cottage benefits from central heating and a log burner in the living room. The kitchen is fully equipped and has all the essentials. The cottage has private parking and a secluded patio set to enjoy. Norwood Cottage is a former stables to the main country house, beautifully converted with original wooden beams. There are some traditional country pubs serving home cooked food nearby. Norwood Cottage is a great base to visit the Lake District and the Yorkshire Dales National Park. 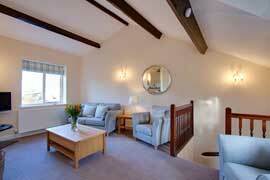 10 minutes away from Ingleton, 30 mins away from Windermere and 30 mins away from Hawes. The cottage has great views and it's tucked away down a 'no through road' country lane so you can enjoy the peace and quiet of the countryside with several great walks from the doorstep. Just a short walk along a stunning bridleway past Casterton golf course, Devils Bridge and along the river Lune you will find the award winning Georgian town of Kirkby Lonsdale.